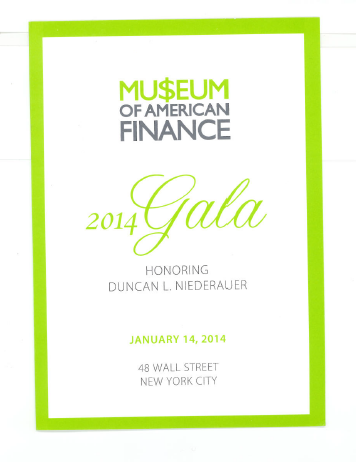 This past January 14, 2014, I was once again invited to attend the gala dinner benefiting the American Museum of American Finance, located in the Swig Equities building at 48 Wall Street. 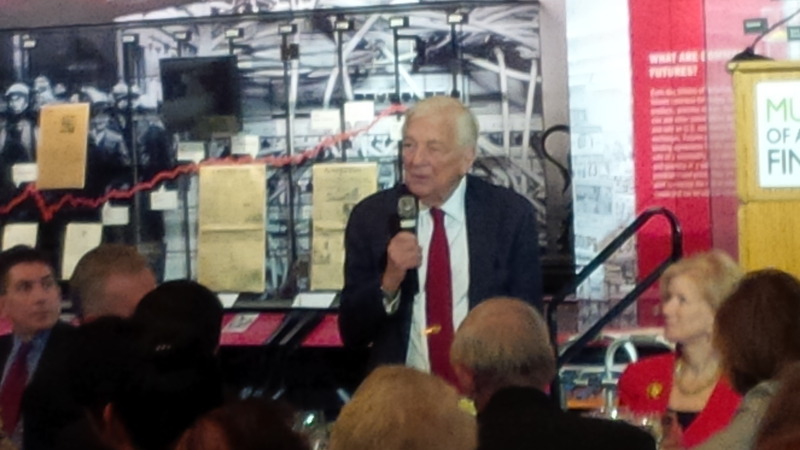 This year, the honoree was Duncan Niederauer, head of the New York Stock Exchange. The evening was a wonderful success and Duncan spoke very thoughtfully, including a fond memory of one of his heros, John C. Whitehead, who is the namesake for the award: The Whitehead Award for Distinguished Service & Financial Leadership. This gala dinner is among one of my favorite annual events and this year was no exception.